“Do you think they saw our license plate?” Steve asked as we continued north bound along the hi-way we had been traveling down together the past hour and a half. With his long curls and rough clothes Steve looked even more like a biker than usual and I was worried too that the police we had just passed might decide to follow us. It wasn’t that our license number was on police record, the trouble was that although we had recently moved to NSW, our car was still registered in the state we had moved from. The reason was simple; registration was not only cheaper in Victoria, but cars licensed there only required a road worthy certificate from a mechanic when they were bought and sold, compared to NSW where this same certificate was required every year. The result was that instead of driving being relaxing as it had been before, we now had to constantly have a story ready for why our car was licensed interstate. With computers these days the same risk would be impossible, but this was back in the early nineties and many people played this risky game. I use this little story above as an example of how in a similar way ego steals our peace of mind by creating stories that we carry around and need to remind ourselves of day and night. “How could this have happened to me?” we ask when things go wrong in our life. When really the answer to that question is the last thing we want to hear. It is amazing how well we can hypnotise ourselves with stories to avoid looking at our character flaws and gaps. We remind ourselves of all the difficulties we have faced in life and how others have had more opportunities than we have, rather than face the truth about our own negligence in developing better habits of body and mind. Over time these stories become waking dreams that define ourselves often by the worst things that have happened to us in our life. This may not seem like ego; but in reality it is. The reason being that we use these stories as excuses to not play fair or by the rules and to shift our personal responsibilities on others while at the same time we claim our successes in life all for ourselves. It hurts to wake up and face our own lack of foresight or personal responsibility, but it is only when we wake up and leave the stories behind that we can get ourselves to a place where we can be relaxed enough to be receptive to our surroundings and the people we are with. Because until we work to do this we are not present in reality – but instead living in a distorted reality these stories create in our own mind. Is it worth the pain? Certainly! Looking honestly at ourselves may be unpleasant – but it beats living in a distorted fantasy world where we need to guard ourselves in case anyone may consider reminding us of the truth. For what is the use of saving a little money every year on car registration if it takes the pleasure out of driving all year round. PS. It is Christmas Eve here in Australia and so Steve and I will not be around tomorrow. We will be back on our computers on Boxing day (the day after Christmas) which is Christmas day in the northern hemisphere. This means if you are part of our online support group we will be around to help if things get tough. Meanwhile hang in there and sigh and relax. Christmas is a great time to allow the spirit of hope and giving into your heart. I do not think you will have much success filing charges. You need to work through the personal bill of rights exercise in The Love Safety Net Workbook, while also paying attention to the Steps in Back From the Looking Glass. I love the story about the Ego. It is so true. We do walk around with our prepared stories. But I find it suits the narcissist exactly and in my case, he will not be reading the story so how can it help? 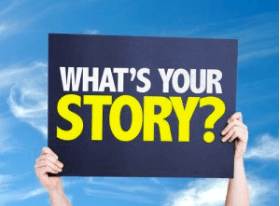 Thanks Jacqueline, This story is to help you start to spot ego hiding within your own stories and those of the people around you. Developing this kind of insight and understanding is the only way we will ever tame ego in ourselves or in others. In the past I would jump straight to an argument on only the vaguest suspicion. These days I want to have gathered us much information as I can (say in the case of wrongdoing by my children) including possible motives and the fears and insecurities feeding those motives, before I make a decision of how I am going to deal with something that has become an emotional trigger in my family. How Cher’s mother in the (old now) movie ‘Moonstruck’ (starring Cher and Nicolas Cage) handles her husbands affair is a perfect example of this. Happy New Year to you both and thank you for your enlightening articles. Ego … Trying to be circumspect and rational as well as looking at what part I play in the dance. Wonderful NY Eve and drive NY Day to share a platter and a glass of wine at a great restaurant. Sublime! Returned home and Dan and I have a cat nap (his was for 2 hours so he must have been tired) and I got up and gardened. Very satisfying. When he wakes we sit on the balcony looking at garden and feed birds then start dinner quite late. After meal Dan asks if I want tea to which I say thanks, but no thanks then tidy kitchen and put the kettle on for him. Tirade erupts when I’ve put the kettle on for him when I don’t want tea (we usually have tea together) and I’m tidying up after dinner to prevent “the kitchen is a truck wreck” comment in the morning. His comment is that I have a “chemical surge (I assume of energy) and this impacts on his chemicals” and hence his outburst and blue mood. He goes off to bed sulking. I have not said anything to him because I don’t want things to slide downhill but if I don’t say anything then I’m accepting his negative behaviour. Still reeling after 2017 started out so well. Hey Jan, Happy New Year! Leaving him with his negativity is not accepting it! PS. Happy New Year to you both – just in case you don’t receive it and thank you for your articles!